This clotted cream is obtained from heated milk cow left to stand for a few hours. 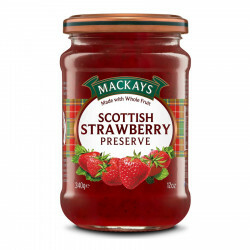 This rich and creamy tea time classic is served with jam, a very traditional and delicious scone topping! 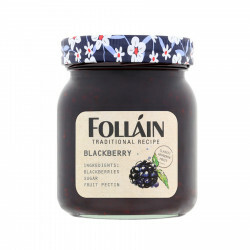 A traditional and tasteful blackberry jam from Folláin! Store in a cool, dry place. Do not freeze. For homogeneous texture, stir before use. Refrigerate and consume within 3 days after opening. Best before: see date on jar.